The Vitafoods trade show will be held from 7-9 May 2019 in Genève, Switzerland. It is a global nutraceutical, cosmeceutical and functional food ingredients industry. 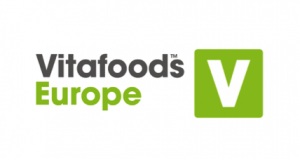 Vitafoods Europe provides visitors the opportunity to source ingredients, raw materials, dietary supplements, and services to help grow their business. The event offers the opportunity to do business with 17,666 visitors and 900+ global suppliers providing 1,000’s of innovative products. The website http://www.vitafoods.eu.com gives you more details on the trade fair.